The Marquee Club can be a loud, chatty place for a folk show at the best of times, let alone when you're a solo performer. 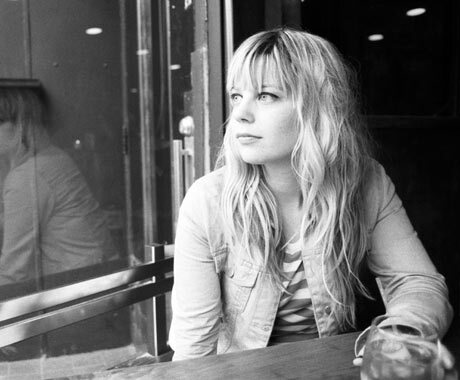 But Basia Bulat seemed anything but intimidated by the crowd, the largest of In the Dead of Winter's first night. She took to the front of the stage, her 10-string charango in hand, with an infectious, goofy grin on her face and proceeded to sing Tall Tall Shadow standout "It Can't Be You" with such incredible force and control that one could audibly note the barflies shutting up, one-by-one, each time she completed a vocal run. Last year's Tall Tall Shadow was a big step forward for Bulat, both in instrumentation and in songcraft. Stripped down to just Bulat live, it's the songs that stand out. Tracks like "Promise Not to Think About Love" and "Wires" featured glistening notes and aching words, delivered with great enthusiasm. The show was Bulat's first in Halifax in over three years, and her excitement was infectious, inspiring clap-alongs and leading her to break out in laughter in the middle of a song more than once. She moved between harps and keyboards throughout the nine-song set, and while older songs like "Snakes and Ladders" and "The Shore" were well received by the crowd, it was the confidence of her newest material that made her long-overdue return to Halifax worth the wait.